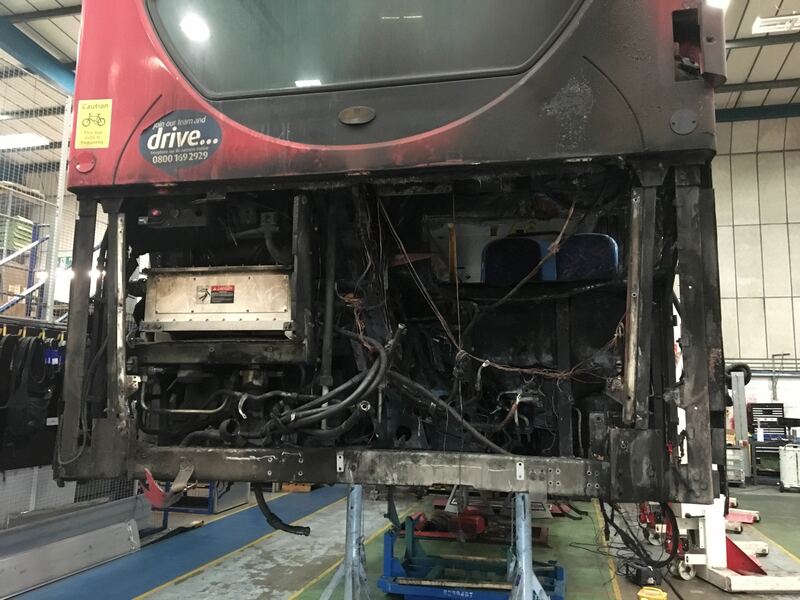 Due to another engine bay fire, this time on an ADL E400 Hybrid, Metroline have requested that Clark Wright Ltd remove the original fire damaged quilt and refit eQuilt in its place. Clark Wright technicians visited the CELF centre where the vehicle is being repaired and removed every damaged panel. The panels were then returned to our manufacturing facility and peiced together for templates to be made. 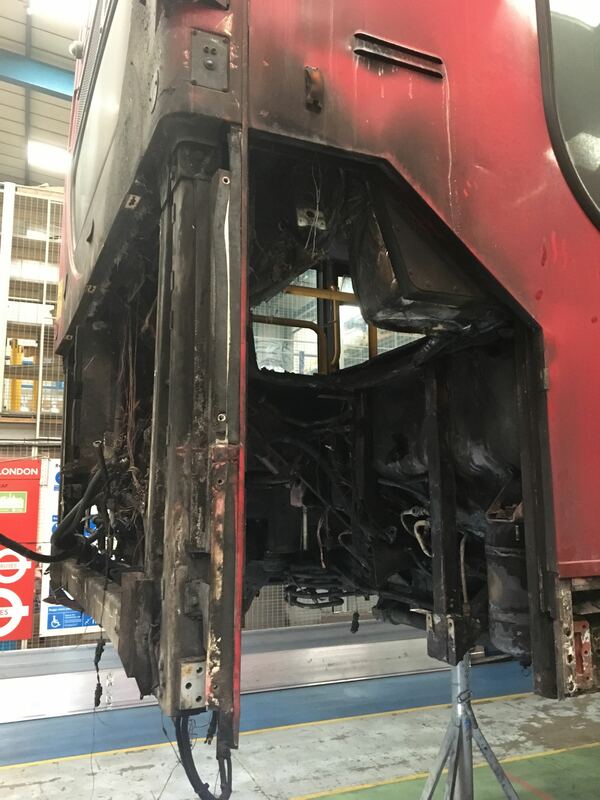 Due to the excessive fire damage to the originals, this was a time consuming process but eventually a complete set of new eQuilt panels were manufactured and sent to the CELF centre for installation.